Most of the world’s seafood catches approximately 80-90% originate in developing countries, home to more than 97% of fishers, the vast majority of whom operate in traditional, subsistence and artisanal sectors in the tropics and subtropics and live in the planet’s most vulnerable communities. For these people, seafood provides food security and household income and supports their local economies. Coastal regions are already bearing the burnt of climate change, and in many small island developing states and coastal least developed countries, fishing communities must fish for survival. Yet, most are fishing on borrowed time. The critical ecosystems underpinning the futures of these coastal populations are now being been decimated at unprecedented rates by overfishing, pollution and climate change. From the Caribbean to the Pacific, rapid growth of coastal populations and a lack of livelihood alternatives have pushed small-scale fishers into more intensive fishing, speeding the collapse of stocks and trapping many in a poverty cycle. Safeguarding the critical marine ecosystems underpinning these coastal economies – from shallow coral reefs to deep-water pelagic fisheries – will require global recognition of the importance of rights-based fisheries management. This means securing management rights of fishing resources for the very communities whose futures depend on their sustainable management: ultimately empowering coastal communities to manage their own marine resources, and safeguarding small-scale fisheries from the threats posed by competing outside and industrial fishing interests. The island of Madagascar, one of the poorest coastal states in the Indian Ocean, has recently made great strides towards achieving this goal. With only weak capacity within its central government for fisheries and marine environmental management, this vast island – whose exclusive economic zone is one of Africa’s largest, at over 1 million square kilometres – has long struggled to manage its fisheries resources sustainably. Yet, over the past decade, more than 12% of the country’s inshore seabed has been designated by communities for management within locally managed marine areas (LMMAs) – areas of coast and ocean managed at a local level, to safeguard the fisheries on which communities depend. Recent studies have shown compelling economic benefits of community based fisheries management with villages seeing sustained increases in catches that far outweigh the opportunity cost of forgoing fishing within managed areas. 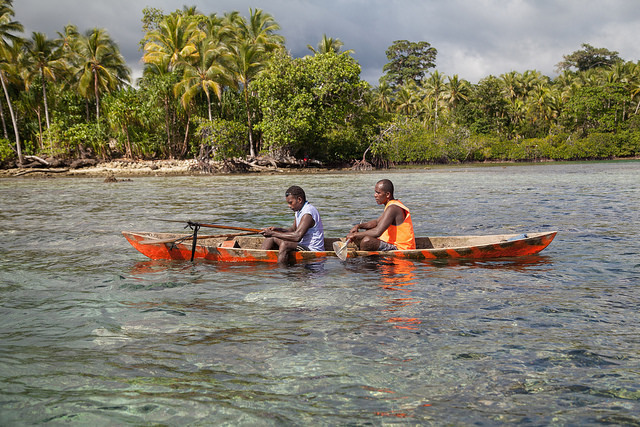 Building on this groundswell of local interest in marine management, the Government of Madagascar recently committed to triple the total area of ocean under marine protection with a particular focus on supporting community-based management approaches. Such experiences, from Madagascar and across the broader Indo-Pacific, are shedding light on the powerful role that rights-based fisheries management can play in empowering communities to manage local fisheries, delivering benefits through enhanced catches that can, in turn, incentivize broader and more ambitious locally-led marine management efforts. While by no means a panacea to the complex challenges facing small-scale fishing communities, we’re learning that fisheries management interventions that reduce the perceived opportunity cost of conservation can help motivate communities to scale and sustain local fisheries efforts in the long term, reducing their dependence on donor or central government support. And beyond their benefits to biodiversity conservation, these experiences provide new insight in the critical role healthy marine ecosystems and sustainable fisheries play creating lasting economic benefits to coastal economies, building resilience to climate change and safeguarding food security. A marine ecologist with an unhealthy obsession for corals, Alasdair founded Blue Ventures to demonstrate that effective marine conservation requires pragmatic, entrepreneurial and community-based approaches to coastal management. 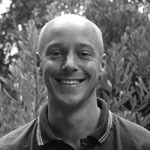 Within Blue Ventures Alasdair is responsible for coordinating conservation and research activities, leading an interdisciplinary and international team of conservationists, scientists and development practitioners. His work focuses on developing scalable solutions to marine environmental challenges, in particular pioneering approaches that make marine conservation make economic sense to coastal communities. Alongside his work with Blue Ventures Alasdair is a visiting post-doctoral researcher at the University of Oxford’s Environmental Change Institute, a member of the World Commission on Protected Areas, a member of the Marine Stewardship Council’s Stakeholder Council, and a technical advisor to the United Nations Environment Programme’s Convention on Migratory Species Secretariat.